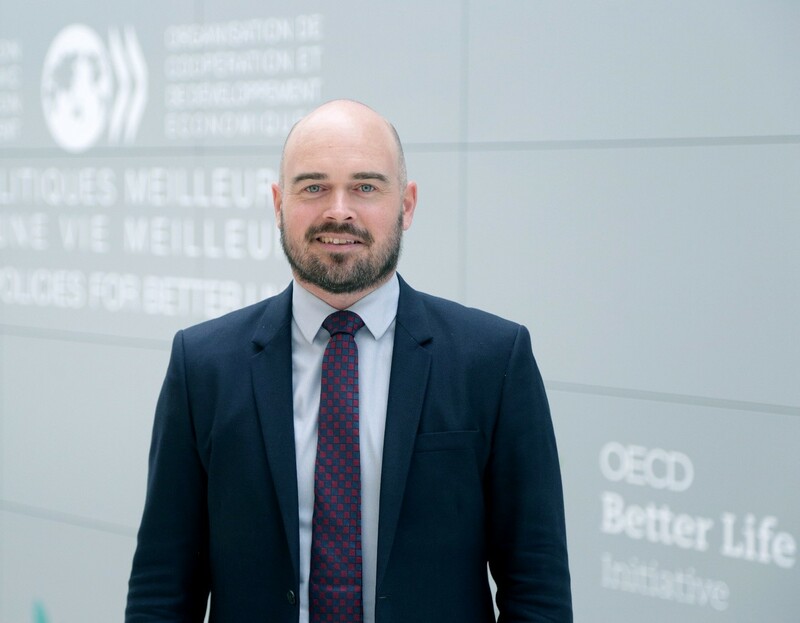 ACCORDING TO OECD’S HEAD OF EMPLOYMENT AND SKILLS UNIT, JONATHAN BARR, THE WORLD OF WORK IS CHANGING. GLOBALISATION, DIGITALISATION, AND AUTOMATION ARE FUNDAMENTALLY ALTERING HOW AND WHERE PEOPLE WORK AND HAVE FOR SOME TIME. By Jonathan Barr, Head of the Employment and Skills Unit, OECD Centre for Entrepreneurship, SMEs, Regions, and Cities. The world of work is changing. Globalisation, digitalisation, and automation are fundamentally altering how and where people work and have for some time. These megatrends are contributing to growing polarisation in the labour market with most employment growth either occurring in high- or low-skilled jobs, shrinking the middle. Regions and cities must re-focus their economic development priorities on building a skilled workforce that is more adaptable in the face of these new labour market realities. Local vocational education and training (VET) programmes can help by building occupational-specific skills and better linking people to quality jobs. In Australia, the employment rate of the working-age population with vocational education was 81% in 2017, well above the overall average employment rate of 61%. Within the vocational education and training system, apprenticeships are an under-utilised but successful tool. They combine work-based training with classroom learning, leading to a formal certification or qualification. For individuals, apprenticeships lead to better wages, higher job satisfication, and future career progression opportunities. They can also positively impact the productivity of a region by creating a pipeline of talent within priority growth sectors. Apprenticeships have gained a lot of attention across the OECD following the 2008 Global Financial Crisis (GFC). Countries with strong apprenticeship systems, such as Germany, Austria, and Switzerland performed better in containing rising youth unemployment after the crisis. Australia could better capitalise on apprenticeships than it does today. Australia’s youth unemployment rate stood at 13% in 2018, still well above the pre-2008 level of 8%. There has also been a decline in the take-up of apprenticships with registrations, more than halving from 376 800 in 2012 to 164 000 in 2016-17. Going forward, more efforts are needed to improve the overall image of the VET sector and restore confidence in apprenticeship training. This requires better engagement with employers to give them a leadership role in steering the system at both the local and national level. The OECD released a new report Engaging Employers and Developing Skills at the Local Level in Australia which sheds light on a number of key lessons on how to co-design apprenticeships with employers. The OECD collected information from over 300 employers across Australia about their skills needs, mainly small and medium sized enterprises (SMEs). Half of the firms responding to this survey hired at least 75% of their apprentices upon completion of training. Around 20% of surveyed businesses noted that they do not offer apprenticeships because of lack of time or resources (e.g. both financial and administrative). Furthemore, another 15% noted that current apprenticeship programmes do not adequately serve the needs of their company. The success of apprenticeships often depends on effective implementation at the local level, where regional and local governments play a critical role. They can develop a community-wide vision for training and skills, while proactively working with employers to raise awareness about the benefits of apprenticeship training. They can also work with employers to help them navigate commonwealth and state government programmes that are available. Technical and Further Education (TAFE) institutions in Australia also have an essential role to play in conducting more outreach with employers to ensure training programmes are providing apprentices with the right skills to be job ready. Flexibility in the delivery of apprenticeships programmes through part-time, and modular delivery as well as a multidisciplinary approach to training are also important. It is challenging for SMEs to participate in apprenticeships because they often lack the human resources capacity to manage the administrative requirements. Within Australia, Group Training Organisations (GTOs) allow the rotation of apprentices among companies when required. This arrangement can enable apprentices to complete their apprenticeship training within a network of companies as opposed to a single employer. This is beneficial for SMEs as it reduces costs for them to participate. Within the Hunter region, STEMship provides an interesting example of how local partnerships between regional development organisations, industry, and the TAFE sector can encourage more apprenticeship training. The programme provides pre-employment training for secondary school graduates to enter apprenticeships as an alternative to University, leading to a full qualification at Certificate III. By working closely with employers in STEM-related fields to drive curriculum development, this programme was able to identify the necessary skills and align training design with local industry demands in new and emerging occupations to prepare for jobs of the future. The OECD stands ready to support Australia to find solutions so that all communities can prosper in the new world of work.